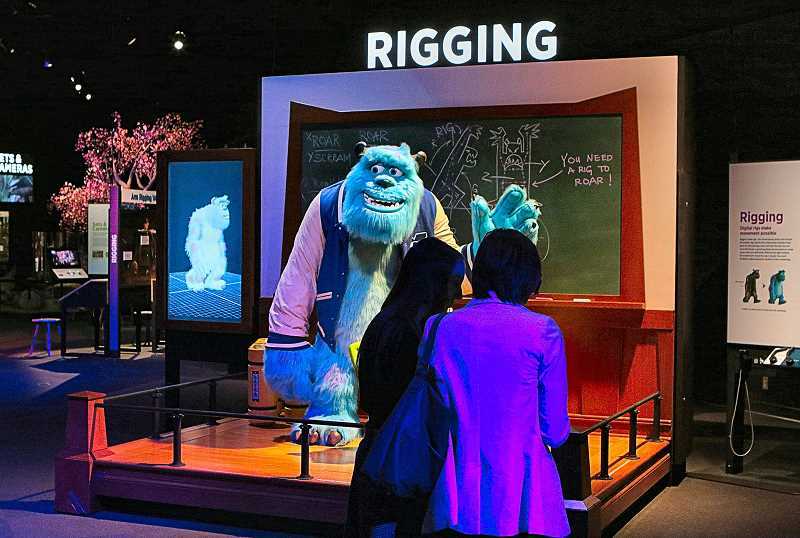 The "Science Behind Pixar" exhibition opened at the Oregon Museum of Science and Industry (OMSI), on S.E. Water Street just north of the Ross Island Bridge, on the east bank of the Willamette River, on February 23. And since then families have been flocking to interact with the technology that supports the creativity and artistry of the moviemaking storytellers. 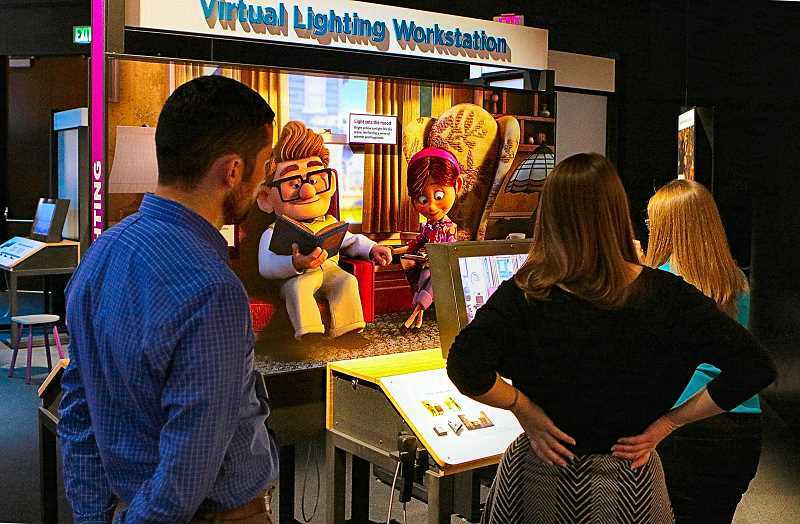 The exhibition is divided into eight focus areas – each highlighting a step of the filmmaking process – thus providing visitors with a unique view of the Pixar's "production pipeline", and the concepts used at the studio every day, pointed out OMSI Featured Hall Assistant Manager Jennifer Powers, as she toured the exhibits on opening day. 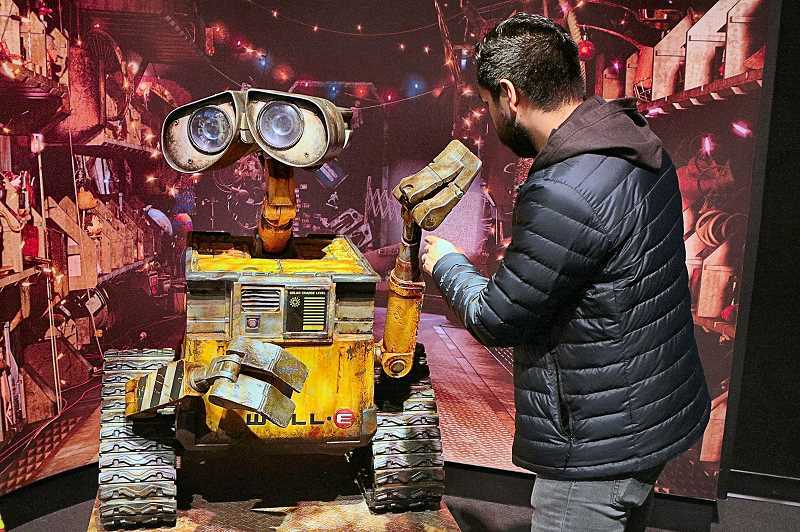 "OMSI is all about creating curiosity through hands-on, interactive, and exciting experimentation," Powers told THE BEE, "and this exhibit is all of it, utilizing physical models and touchscreens, as well as video stories. It's fun, involving, and accessible to everyone from little kids to adults and grandparents!" From modeling the imaginary characters through their animation and final rendering, each of the eight steps of stop-action film brought to life in the exhibition that covers OMSI's two Main Exhibition halls. "The Science Behind Pixar" is open at OMSI through September 3; tickets to the exhibition additional to the general admission rates.